Neu "Numbers for successful Business"
Grigori Grabovoi is the author of the teaching "Deliverance and Harmonious Development," which has received acclaim through official documents of the United Nations Organization (UNO). He is a respected clairvoyant, healer and specialist in energy informatics. He was honored by the Russian Academy of Sciences with the silver medal of the Nobel Prize Award winner I. P. Pavlov for his "furthering of medicine and public health. 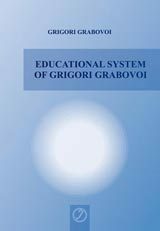 "Grigori Grabovoi is also an award winner of the International Academy of Sciences' competition on the topic "Nature and Society." He was distinguished with the Peter the Great medal for his contributions to the "revival of the science and economy of Russia." 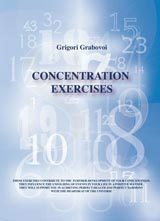 This book presents the method of improving conditions of health through concentrating on seven, eight and nine digit numbers, which Grigori Grabovoi received in the course of his practical work. 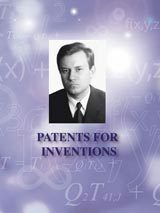 The seven digit number sequences form the foundation of the system, for further specific conditions, eight and nine digit numbers are given - in the Table of Contents and also throughout the book. 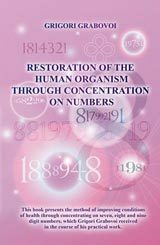 Through immersion in this method of health improvement, through concentrating on the number sequences and through a comparison of various and several number sequences, one can address all aspects of a medical condition. 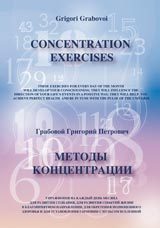 "Concentration Exercises", biligual Version (English/Russian Version) "I recommend that you find time in your daily schedule to acquire the techniques and do the exercises offered below. Three exercises are suggested for each day of the month. These exercises will teach you how to control events in your life by using different concentration techniques. Remember that all of the exercises are creative in nature. They will assist you in your further personal growth and development. 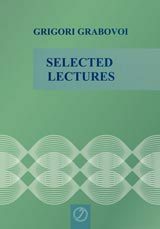 With the help of these exercises, you will grow spiritually, and this will help you perform them at a higher level in the future, guaranteeing your continued development ad infinitum. Quite soon you will notice that your life has begun to change for the better. To be more precise, however, it must be said that you yourself have started to improve it, that you have begun to take control of your life. 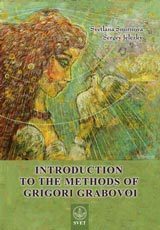 Grigori Grabovoi"
The Grigori Grabovoi's Doctrine has been registered as the method with patents "A Method for Prevention of Catastrophes and a Device for Implementation Thereof" and "An Information Transmission System". 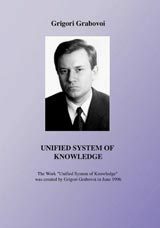 According to the Grigori Grabovoi's Doctrine, the application of an object that generates bioelectrical signals further promotes normalization of the situation in the zone of the anticipated catastrophe. The device operation proves that a person, by creating a bioelectric signal using the concentrations method in accordance with the Grigori Grabovoi's techniques, can normalize the "situation in the zone of the anticipated catastrophe". The Doctrine is protected by results in thousands of protocols and by patents "A Method for Prevention of Catastrophes and a Device for Implementation Thereof" and "An Information Transmission System". In ancient times it was assumed that the world stands on three elephants, or three columns, according to the Jewish Kabbalah. You can say that the world stands on whales, elephants or pillars - the essence will not change. Anyway, it isn't about animals but about the right and left hemispheres of the brain, the spinal cord and whether they are capable of harmonious functioning on the basis of CONSCIOUSNESS, meaning divine consciousness, of course. The left hemisphere manifests its function of logic through the scientific worldview. The right hemisphere displays its function through an intuitive perception of truth and through religious perception of the world. At first glance, they appear to be irreconcilable opposites. But if you look closely, you will see that the nonsense of atheistic views and the shocking demands for "sacrifice of the mind" are just two extreme manifestations of the same natural life source. And while the left brain hemisphere "hits against" its own mirror reflection, unable to overcome the BOUNDARY separating the worlds, it will continue to repeat the same old statements about atheism, physical foundations of the world, speed that cannot exceed the speed of light, and space and time as the medium of our existence, not even understanding that they are secondary to the CONSCIOUSNESS OF THE CREATOR, Who has created all this in the world and in relation to WHOM they are correlated, as consequence with cause. 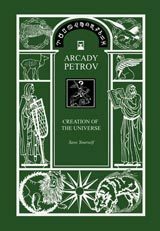 SAVE THE WORLD AROUND YOU (CREATION OF THE UNIVERSE, BOOK 3) "Man maintains the homeostasis of the Universe. 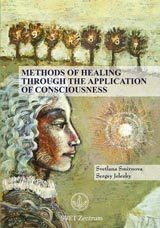 Adjustment of reality takes place through his consciousness. 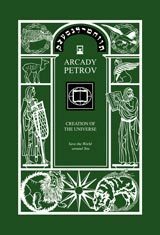 And man's every act and his every action is reflected upon the global levels of being, where planets, stars and galaxies perform the role of atoms and cells. Everything around us is alive. It's just that the Universe is the body of our own existence on the global scale. If we understand and accept this we become IMMORTAL, because adequate behavior is the main precondition for immortal existence. These forms of life are tied to the source of their existence - human consciousness. Being in a cause and effect relationship with consciousness, they, nevertheless, because of their predominantly information-energy structure, contain greater opportunities for analysis, response and influence than man does. All the effects of extra-sensory miracles are associated with these entities within our consciousness. Let me repeat: they are not something alien or coming from the outside - they are elements of your personal consciousness in the unified field of consciousness within the Universe, just like the heart in the body, the cells in the heart, the molecules in the cells and the atoms in the molecules." The brochure has been prepared using research materials of the staff of the Noosphera Center - Arcady Petrov and Igor Arepyev. 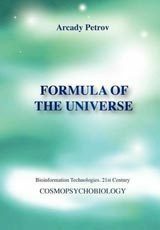 This is a summary of their joint experience and achievements in creating a new science - Cosmopsychobiology. 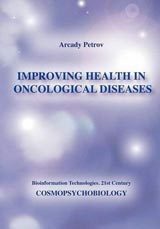 In this booklet you will find concrete bio-informative techniques for the improvement of one's health in oncological diseases. But let us first expand our knowledge of this little known field of science. How do we help a person in the concrete work of our own practice? Through consciousness! We do not touch anyone. We do not give any pills or shots, but the person still becomes healthy. A thought alone can save someone's life.